AndrewGilmore.net: Did Jesus Contradict Himself? You may have heard your preacher quote Matthew 11:30 in which Jesus said, “My yoke is easy, and my burden is light.” The verse brings comfort to us who are weighed down by the realities of life. Anyone who has trusted in Jesus has no doubt felt a huge burden lifted from his or her life. Last you checked, a cross isn’t very light. How can we reconcile these two statements? Did Jesus contradict Himself? How Could Jesus Claim His Yoke Is Easy? The answer to this conundrum appears to lie in the respective contexts of the passages. Here He refers to the Law of Moses. Here’s the rub: no one can follow God’s law perfectly. If that were possible, would there be a need for a perfect savior? Paul wrote that “all have sinned and fall short of the glory of God” (Rom. 3:23). James says, "whoever keeps the whole law and yet stumbles at just one point is guilty of breaking all of it” (2:10). That’s quite a burden isn't it? It’s the burden of perfectionism. As if the 613 rules in the Law of Moses weren’t enough, the Pharisees appended so many additional regulations, it makes Obamacare look like an instruction booklet for Connect Four. Such an imposition transformed an already heavy yoke into a back breaking endeavor for the 1st Century Jew. What Jesus offered instead was relief. While the Pharisees dictated impossible standards, Jesus' yoke in comparison was light. He was (and is) more concerned with the condition of one's heart than adherence to rules. The point is this: you don’t have to be perfect because Christ is perfect in your stead. In addition, the word scholars translated “easy” as in “my yoke is easy” gives us an incomplete picture. The Greek word is chrestos which carries multiple meanings at once. The word also signifies good, better, useful. So in comparison to the Old Covenant, Jesus’ yoke is better. In comparison to what the Pharisees had to offer, Christ's way was actually useful, helpful and profitable. Carrying a cross? It may not be easy, but it is doable. Several apostles died for their faith. Many died by crucifixion. But even Jesus needed help getting that cross up the hill (Matt. 27:32). If Jesus needed help, why should we think ourselves any better? This takes me back to the word yoke. 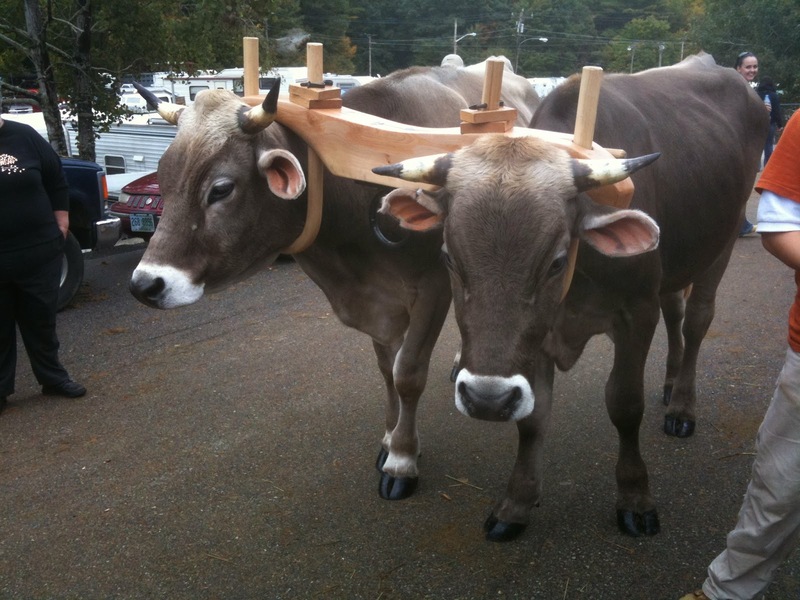 A yoke is a device used to pair animals for labor in the field. Farmers use yokes to pair animals. In other words, you’re not in this alone. You're yoked with someone else. God will send someone like Simon of Cyrene to carry your cross when needed. And God sent the Holy Spirit to give us power (Acts 1:8). The point is, you must be willing to suffer for the sake of the gospel. If you’re not willing to go there then you are unworthy of Jesus. But when you receive power from the Holy Ghost, it lightens the burden of carrying the cross. And compared to following the law? Forget about it. 1. Strong, James. "Greek Dictionary of the New Testament." In The New Strong's Exhaustive Concordance of the Bible. Expanded. ed. Nashville: Thomas Nelson Inc, 2010. 273. Don't forget to get your free copy of “How to Read Through the Old Testament (Without Getting Lost or Dozing Off).” Click here for more details.